Windows XP: It’s time to say good-bye on April 8th! I understand if you don’t want to face this. You have a computer and the setup works for you. Sure it’s a bit clunky, but you don’t want to switch. Why waste money on a new computer? I feel your pain. Here’s the deal. 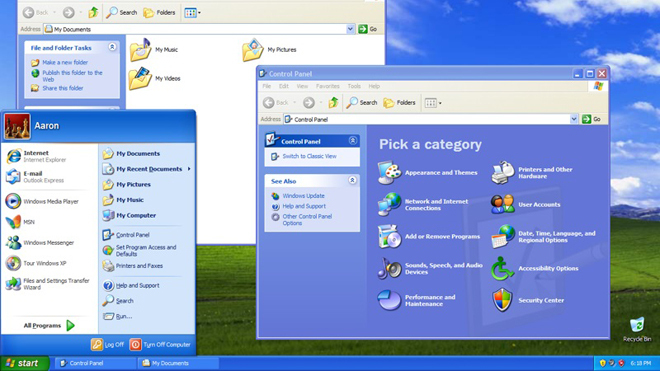 Microsoft is abandoning Windows XP on April 8, 2014. When you hear that euphemistic phrase “end-of-life,” it means a lot of things. The big ones are no operating system fixes and no defenses against viruses and other online dangers. For more about the other things it means, click here for a tip that explains it all. Since the end of Microsoft’s security updates is big news, hackers and scammers are going to be targeting computers still using XP. You’re going to be very, very vulnerable. If you have an XP computer and just browse the Internet occasionally, without the use of passwords for anything ever, you’re probably fine as well. If you’re doing anything else – signing into membership websites of any type, or doing any email at all – you really need to make a change. And if you’re doing banking or using credit cards online for anything, you’ve really got to face reality. You sound like a perfect candidate for a tablet. They are light and versatile. The proliferation of tablet-only programs – they are called “apps” – means that you can easily find a game or tool that plays to an interest or brings some creativity out of you. I have an extensive Tablet and Smartphone App Review area on my website located here . There are many different tablets available from Apple, Samsung, Microsoft, Nexus and others. They range in size and weight. Some work on Wi-Fi only. Others offer more storage and better cameras. You’d be hard-pressed to find anyone with a tablet who doesn’t love it. For an easy comparison of the various makes, models and features, click here. If you look at your list and see primarily reading books, watching television shows and movies, it’s pretty hard to beat a Kindle. They’re made by Amazon and are great gadgets for reading. Certain models let you also add apps for email, games, social media and more. You can read my comparison of the various Kindles here . Just make sure you’re getting a Windows 7 machine with at least 4 gigs of RAM. Better yet, upgrade to 8 gigs of RAM, and this computer might last you as long as your XP machine did. For help buying a new computer, use my buying guide here . Should Microsoft be ending its support of XP? Yes and no. Look – computers change, nothing lasts forever, and there’s an argument to be made that a computer that old isn’t giving you everything technology has to offer these days anyway. On the other hand, we as consumers should have the freedom of choice. It’s not like our old cars are summarily ordered off the road. Truth be told, it’s really the Internet’s fault. Like it or not, the amazing offerings online come with some downsides. One of them is the vulnerability XP is going to expose you to if you keep using it. It’s time to let go! On the Kim Komando Show, the nation’s largest weekend radio talk show, Kim takes calls and dispenses advice on today’s digital lifestyle, from smartphones and tablets to online privacy and data hacks. For her daily tips, newsletters and more, visit her website at www.komando.com .